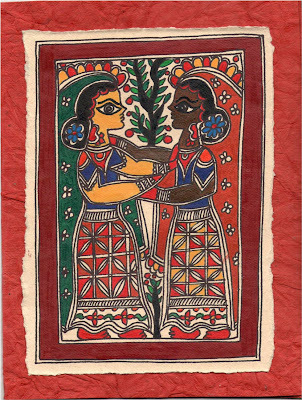 CrazyLassi's Madhubani Art Practice and Research Blog: "Madhubani Must Be Learnt, Not Developed"
From generation to generation this home art has been passed together with its style and intricacies. 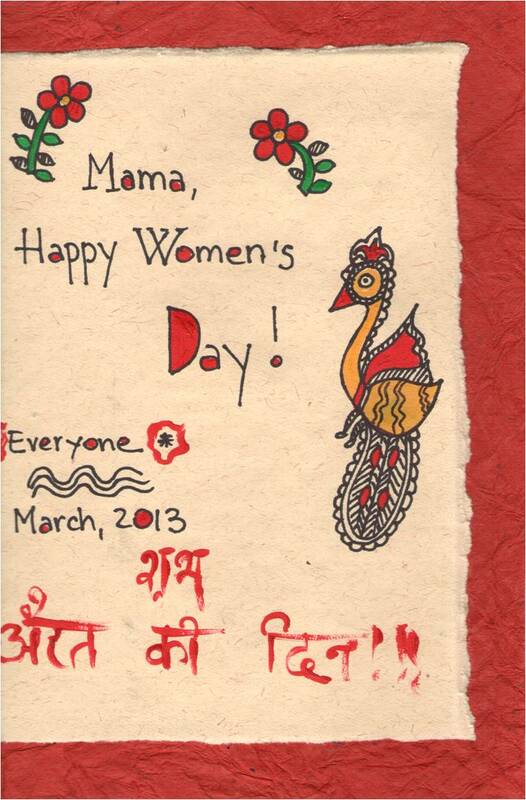 Apparently each household practices somewhat different fashion of the same Madhubani style. 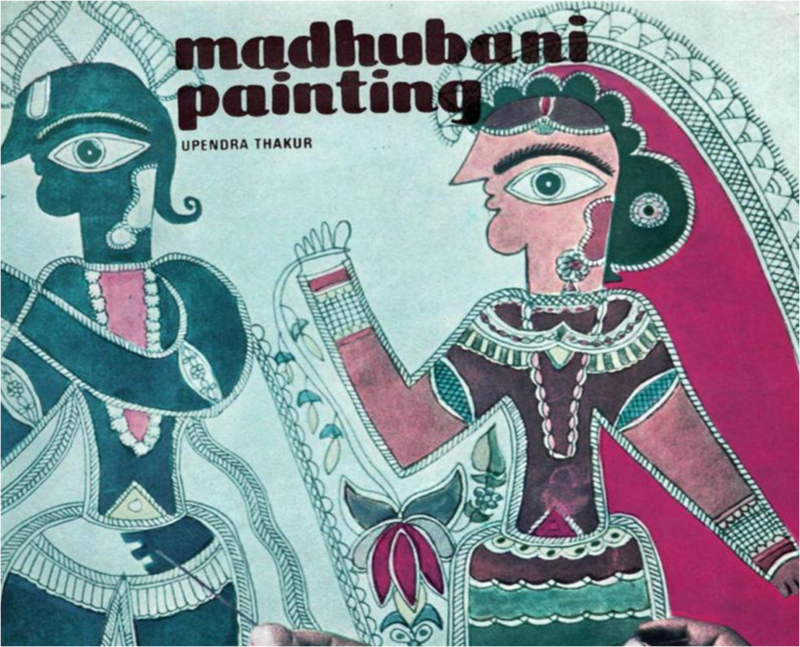 Upendra Thakur writes in his book that women start learning Madhubani in their childhood. In the beginning they act as assistants, helping to prepare paint and brushes, holding the bowl with paint when the elder is painting. By the age of 18 (or before marriage), the girls memorize the main designs and styles. They might be acting as assistants until they reach the middle age, then they will be regarded as the style experts and will be allowed to perform Madhubani independently. 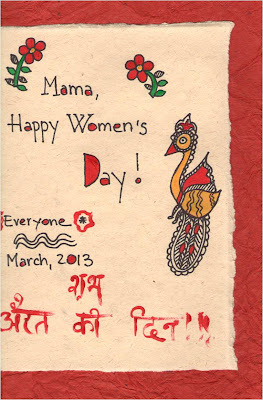 Even then not all women can draw Madhubani and the level of expertise differ. Within the art experimenting and inventing is not expected, all that is expected is the following of tradition and the certain style. As a Madhubani learner that sits at home and has no possibility to visit Bihar or find a teacher, I have to find the right way to learn Madhubani. 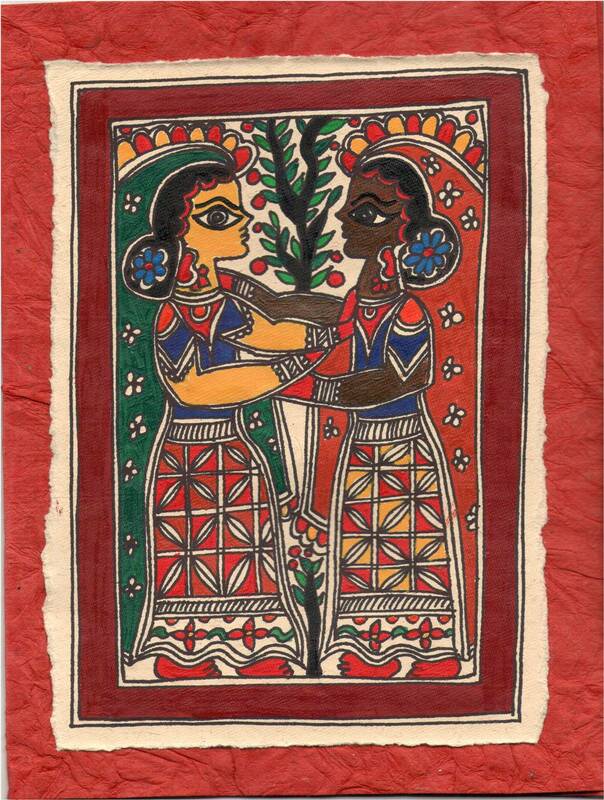 I know that my Madhubani will never be real Madhubani because I am not a real Bihari. However without being able to control the wish to be able to experience what it would feel like to paint in Madhubani style, I learn by copying. As someone that has been in art school and knows how bad it is to be unoriginal and a "copycat" it is hard to turn to copying other people's works. However I try to justify myself doing so because 'I need to learn'. Like the small girls copy their mothers and grandmothers, that's what a student should also do. Maybe when we acquire all the detail and the spirit of Madhubani, then like the Madhubani artist Baua Devi we can start experimenting.